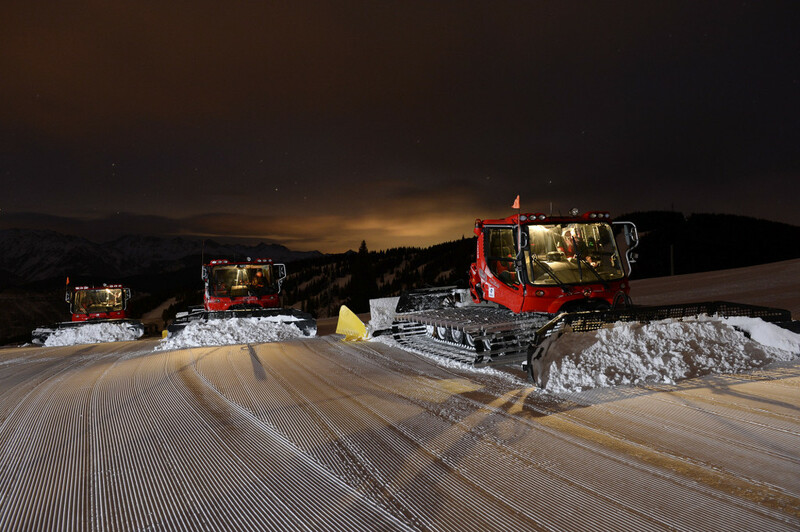 Two years ago, Vail Mountain invested in ISAAC Instruments, a system which provides data on the efficiency of how snowcats in the grooming fleet perform. These metrics and hard data helped us reevaluate our current grooming patterns and increase productivity. Then, this summer, our mountain operations staff sat down with Vail’s ski and snowboard school management to determine teaching patterns and incorporate their needs into our grooming strategy. It has been a very fun project, as we have reimagined every aspect of grooming, from the training programs to travel patters to where we park the cats, and the sum of all these efforts during the last two years was this goal of 20 percent more. If we can achieve that goal, then we can set the bar higher and increase the total number of groomed acres even more in the future. So, how are we going to achieve this aggressive goal? Simple, we are increasing the frequency of grooming on select runs. This means that runs like Avanti, Pickaroon, Columbine, Simba, Mid-Vail Express, and Timberline Face that were previously groomed two to four times per week will now be groomed every night. Other runs like Blue Ox, Berries, Ledges, The Preserve and Showboat that were previously groomed once a week will now be groomed a few times per week. Prima, which was previously a surprise and delight groomed run, will now be groomed once a week. The same will apply to Spruce Face, which will actually be split-groomed to allow half of it to remain ungroomed for our bump-loving friends. We will continue with our surprise and delight runs, those like Roger’s Run and Forever that are groomed occasionally as a treat for our guests. Don’t worry; these runs will be listed on the daily grooming report as groomed so that you don’t miss out. For us, it’s about maximizing the resources we have on hand to provide a noticeable difference for our guests’ on-mountain experience. We hope you enjoy it, and we hope to continue to reimagine all aspects of our operations for the better.